In my last post, I had mentioned about upcoming camping trips this summer. Here is our first one this year to the Yosemite National Parks. We went for a 1 night 2 day camping trip with friends. The weather was just perfect, not too cold and not too hot. 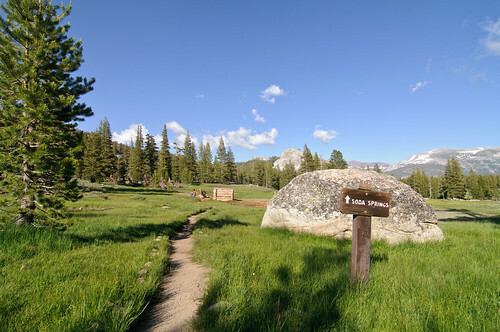 We left Oakland around 9 a.m. and arrived at the Crane Flat Campground by 1 p.m. Our camp site was quite spacious and was surrounded by a wall of sequoia trees and a beautiful meadow right next to it. After we set up our tents, we had beef salami sandwiches with avocado spread on focaccia bread and watermelon for lunch. 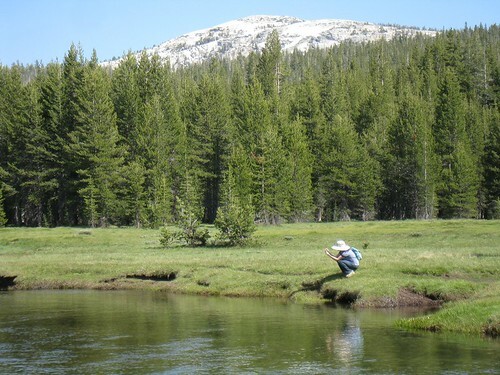 And then we went on hiking to the Tuolumne Meadows. Though this was my third time to the Yosemite, I had never been to this part of the park, so I was very looking forward to the trip. 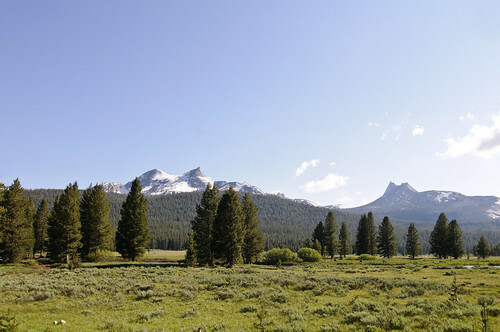 After driving for about 40 minutes on Tioga Pass Road, a breathtaking view of open prairie came into view with a backdrop of mountain range. It was a totally unexpected and different view from what I used to see in the valley. This reminded me of why people keep coming back to the Yosemite over and over again; the park offers a different experience every time we come. The meadow looked so peaceful and beautiful. We stopped by the Tolumune Meadows Visitor Center to ask for a not-too-long-but-beautiful-trail nearby. 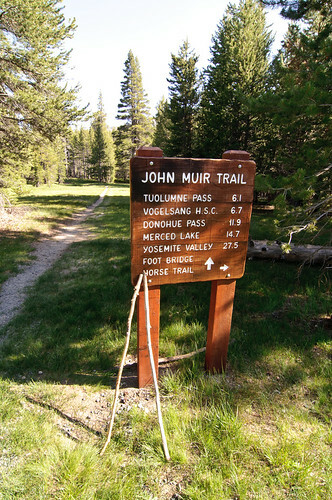 Per their recommendation, we decided to hike a short portion of the famous John Muir Trail to the Twin Bridge. On the trail we came across a creek, then a rocky but not-too-steep path, and about 30 minutes into the trail, beautiful sight of grass meadow with river running right in front of it came into view. Then everybody started clicking cameras in all directions. It was such a lovely place to be. After this, we decided to check out the Soda Spring trail that was nearby. It was also a short and beautiful trail with some surprises. We ran into dears and other wild animals along the way. 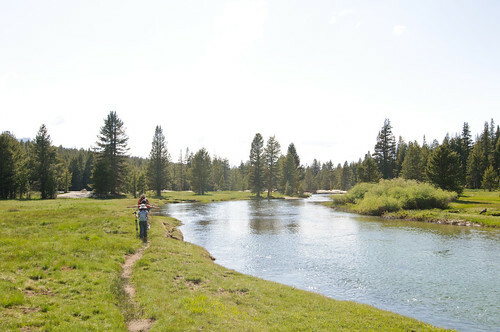 As the name of trail suggests, there is a shallow spring of carbonated water which used to provide mineral-rich water to native Indians in the area in the old days. The area near the spring is covered with reddish mud and small amount of water bubbled up all over. The water, which we were told was safe to drink, had a very strong iron aftertaste. Hiking is fun, but when it comes to camping I am most excited about preparing and having dinner. And on this trip, dinner was definitely the highlight of the trip. 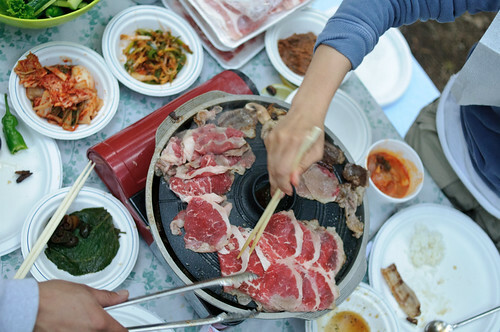 The menu for the night was samgyupsal (sliced pork belly meat) and chadolbaegi (thinly sliced beef brisket). There is something about eating outdoors that makes me want to see and hear foods sizzle in front of my eye. We had two grill pans going at the same time, so we can grill samgyupsal and chadolbaegi at the same time. 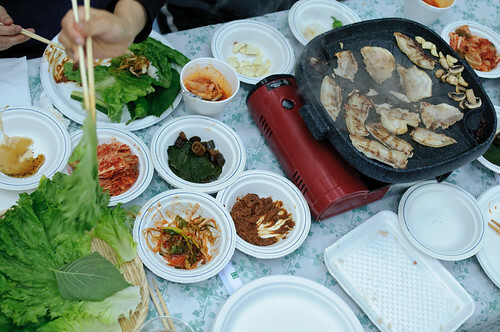 To accompany the meat, I also prepared kimchi chigae, Korean lettuce, gaenip (sesame leaves), ssamjang, and scallion salad. We were all very hungry after we returned from hiking. Korean BBQ dinner after a (half) day of hiking was, as a Korean saying goes, "like everything was glazed with honey". So delicious. We almost forgot to take pictures, but luckily I remembered to take some pictures this time. After dinner we sat around the camp fire and continued on with desserts - roasted corns, sweet potatoes and s'mores. Whenever I go camping, I feel that spending time in the nature provides so much boost of energy to our life that no urban life can offer. I think I got a pretty good dose of that energy this time. It was a short but fun and memorable trip that definitely made me want to come back again. And her most cartier replica recent book was cheerfully title, Check Please! Dating rolex datejust replica Mating and Extricating, based http://www.lakesideshopping.com/store1.html on the 1,000+ lovers, she easily could have ended that with rolex masterpiece watches "Fornicating," ah semantics. Great park! Nature is so wonderful. My friends from top-writing-services also like it. 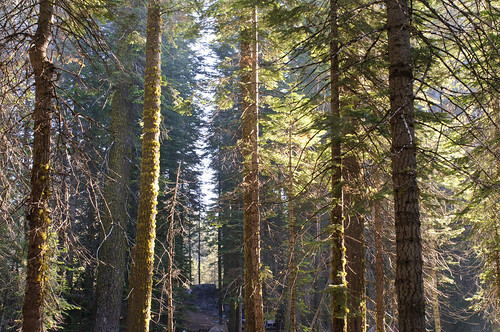 The pictures of nature are awesome!I'd like to write my essay about my camping last summer. Thanks for shared cool pics, great places! I need to go camping there. I think, It will be amazing travel! It is very useful article. but i am cannot deal with their academic tasks without professional assistance. If you need help in writing an essay can recommend custom essay . this company help me a lot in any time. Cheap essay papers is one of those essay writing companies, which do their very best to make the customers 100% satisfied with their services. The most basic thingto know about the importance of education is to research its benefits or how it will brighten up your life. If you like numbers, then maybe search up statistics of how many people have changed when they were more knowing about the world. It is paper writing services ! It's so nice to have a walk in the park in a sunny day ;)All students can do it and Custom-Essays-Online.com will complete your orders. Save your precious time with us! Make an order today! Wow! Great pictures and excellent idea! Such a great idea and good results will be able to give everyone on this site www.essay-mania.com. Such campings are great! I like to feel my connection with nature, it inspires for living)) after such a rest everyone feels alive and full of energy! I appreciate you greatly forsharing these marvelous photos! Beautiful places indeed. I like camping, but I've never been at Yosemite National Parks. It would be grate to visit them. Thank you for sharing so nice and informative article. Travelling is my admiration, it helps get a great deal of positive emotions, strengths and experience. If someone is too busy with writing their academic assignments instead it is better to entrust this task to professional writers academic-writings.com and enjoy your trip and excellently written custom paper. Wow this place amazing! Look like paradise in our planet! I with big pleasure wanna go there! And when I finished all my case, I necessarily visit this place! But now i need prepare my research paper, and i know who helped me in this! This site http://essay-professors.com where you always can order your assignments! Do you want to solve your writing problem in no time? We are here for you! Amazingly amazing. Thanks you very much for presenting us with this wonderful place. I am sure I will make it a point to visit this place as soon as I am in a holiday mood. I know it is difficult now I need to find the best dissertation writing service as I need to write one soon. Become the best with us right now! I truly value your post. A debt of gratitude is in order for sharing such a valuable data. You left me wowed, I feel luck I found your website. Keep producing the great content. Let create a new world for yourselft by way take part in the games– sims 4 cheats in my site. Click link to visit site. Thank you so much.